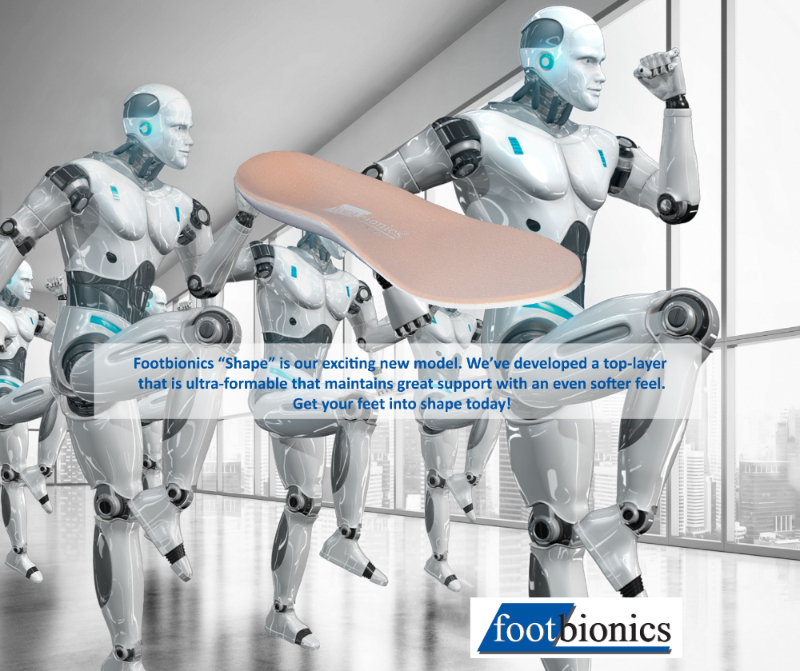 Footbionics “Shape” is our exciting new model that offers the practitioner a superior option in treatments where cushioning and custom fit is required. Two densities of foam are incorporated including a base foam being the same softer density as found in our Cushion and Supercushion models. The top 3mm foam layer is made from a specialised EVA and PE foam blend incorporating a polyolefin elastomer creating a foam with fantastic thermo-moulding properties. This means thermo-moulding or shaping to the foot can be made at low temperatures and the foam will contour extremely well. ▪ Diabetics / Fibrofatty atrophy / Rheumatoid Arthritis / Intractable plantar lesions. ulcerations, verrucae, callus, corns or scarring.